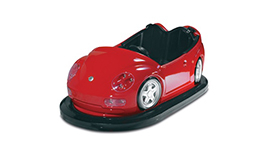 Family fun at its best, where kids can learn how to drive a car with mum or dad as their passenger. It’s the only ‘road’ where you can bump into other cars without getting into trouble, and it sure will create lots of fun and laughter. 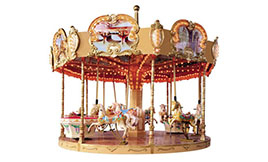 This gentle 3-minutes ride turns slowly and is great fun for the little ones. Choose from 22 horses of different sizes. Maximum height is 1.4m – kids under 90cm must be accompanied. Taxi! Taxi! 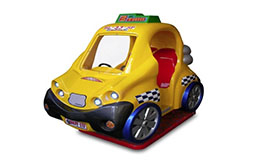 Jump into this sleek city cab for a fun ride with light effects and interactive sounds. Be sure to wave at your friends as you pass by them on the street. 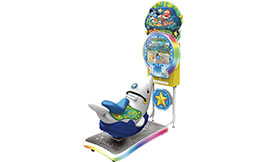 Take an adventurous ride on the fin-tastic Dolphin Star, the next big thing in edutainment! By learning vocabulary words and collecting starfish, players collect points which can earn them bonuses. 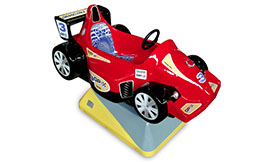 Race around the track in a speedy Formula 1 Car, with all the racing sounds and LED lights that make this driving experience unforgettable for the little ones. It’s a real ‘sweet’ deal. 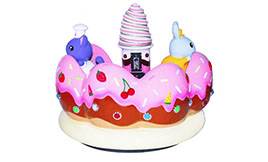 Deliciously themed kiddie ride with cute animal characters, glazed donut styling and whipped cream tower. Hop on in to be the king or queen of your own donut tower.